Tom is a former Assistant United States Attorney who joined Mann Law, P.C., in 2016 after retiring from the U.S. Attorney's Office. Tom focuses his current practice on collaborative and alternative dispute resolution, including conducting mediations and arbitrations. He also litigates a variety of civil claims for clients across a broad spectrum of issues. During Tom's 27 year career as an Assistant United States Attorney, he was principally responsible for numerous bench and jury trials, settlements, mediations, and appeals. Tom was a senior trial attorney handling complex civil litigation for the United States of America. Tom's caseload included a wide range of civil disputes, including those related to constitutional and civil rights claims, personal injury and medical malpractice claims, construction accident claims, disability claims, contract dispute claims, environmental violations, drug diversions enforcement, and administrative law claims related to subpoenas, Freedom of Information Act proceedings. Prior to joining the U. S. Attorney's Office as a litigator, Tom served as the Indiana Consumer Counselor representing Indiana's utility ratepayers in cases litigated before the state courts and the Utility Regulatory Commission. Tom was appointed in 1985 by the Honorable Robert D. Orr, Governor, State of Indiana, to lead and direct the Office of Utility Consumer Counselor. As Consumer Counselor Tom was responsible for development and management of a $2.2 biennial budget, the office's legislative affairs and communications personnel and policy, supervision and management of the Office's personnel, including attorneys, accountants, engineers, economists, and support staff, and the development of all legal policy and all utility litigation on behalf of Indiana citizens before the Indiana Utility Regulatory Commission. 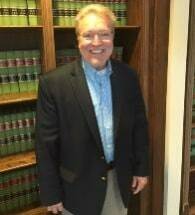 Tom came to the Consumer Counselor's position from a general legal practice in Hendricks County, Indiana, where he was a principal in the firm of Elmendorf, Meyer & Kieper. Tom's caseload in private practice included assisting clients with all general corporate, civil, domestic, and criminal law issues, including trials, settlements, and appeals. Tom started his legal and litigation career in 1979 as a Deputy Attorney General, State of Indiana, where he was the principal trial attorney in prosecuting land acquisition cases. Tom also defended the state and its agencies from negligence and personal injury tort claims.